I decided that I wanted to photograph my acorn squash with the seeds still inside the center. I felt that the seeds are a part of the acorn squash that quickly get discarded and forgotten. The detail of the webbed center with the slippery seeds shows that great effort has been put into the growth cycle. Thankfully the seeds are easy to remove. 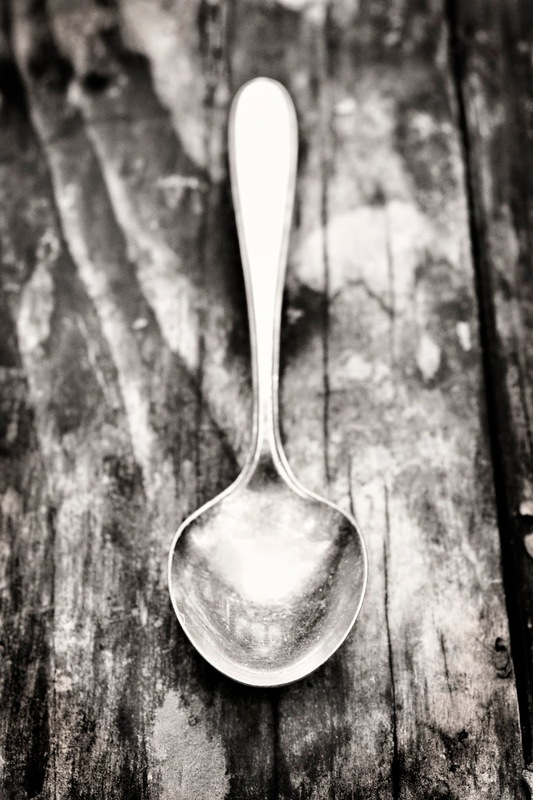 I use a large spoon and gently scrape the sides. The seeds go down the drain and I am left with two halves. Have you ever saved your seeds? Would you treat them similar to pumpkin seeds and eat them? Let me know if you use them and how. We are fans of squash. 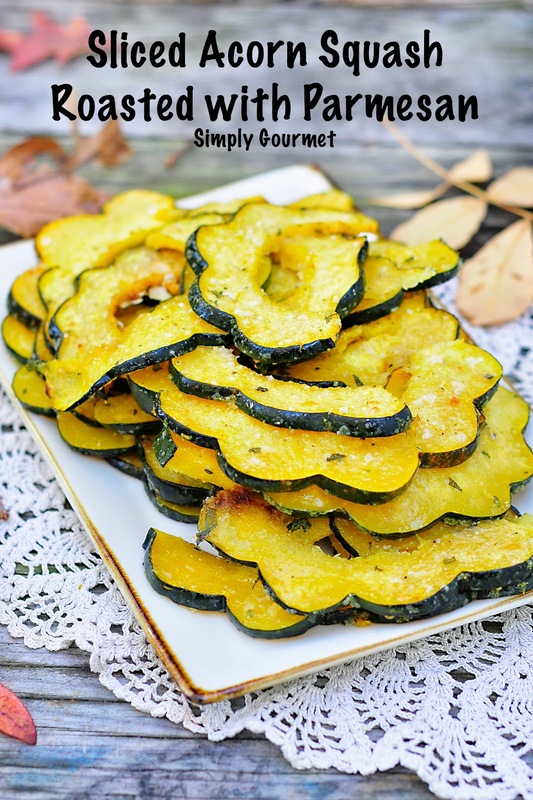 On the blog you will find an array of squash recipes. We eat one zucchini every day in either our breakfast or dinner. I find that squash just fits nicely into most recipes that use eggs, vegetable dishes like soups and stir frys, as well as, stand on their own in simple recipes. 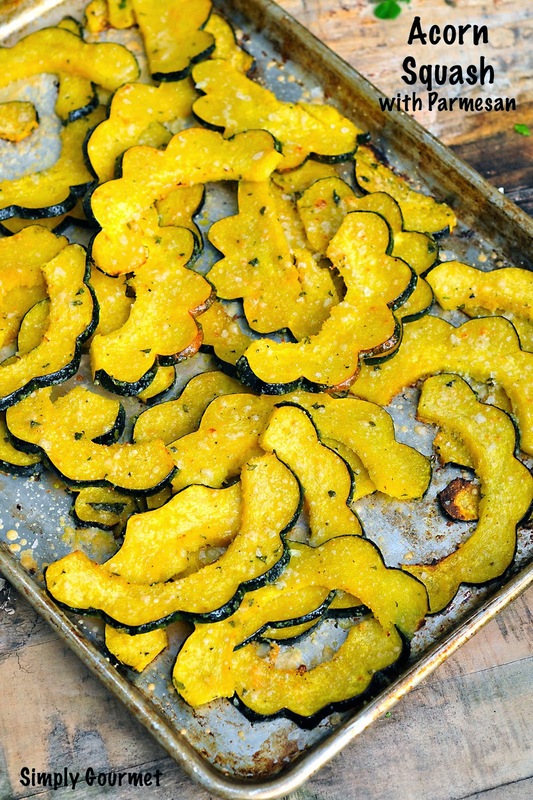 I like to use simple ingredients when working with squash. The tender squash meat is transformed when seasoned with a bit of extra virgin olive oil or grass fed butter. Then if you decide to add salt, pepper and some seasonings the dish is expanding its flavor profile. When the slices came out of the oven I decided to add a sprinkle of parmesan cheese. 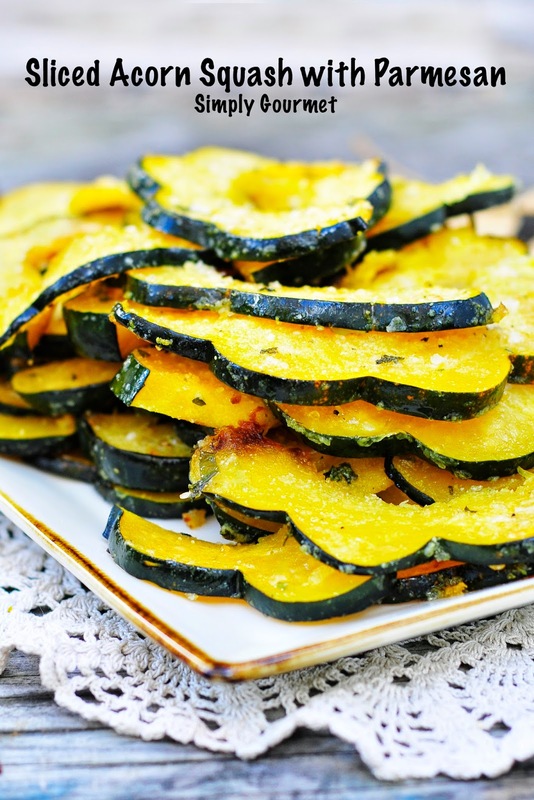 I found when the the squash was broiled and the edges were browned that this added a wonderful finishing touch to this simple recipe. So the question that I run into is this. Is this considered finger food or not? Well, for me it is not finger food because I eat the green peel too. The cooking at a high temperature softens the green peel to a degree that it is edible. I have several friends and family that also eat the whole slice. It is also okay to eat the slices like you would a slice of watermelon. I would consider the guest at your table to see if they are comfortable eating finger foods. Who knows, they might like it. 1. Preheat oven to 400 degrees. Have a metal cookie sheet ready. 2. To slice the acorn squash into 1/4 inch slices you will need a large sharp knife and a stable cutting board. I used my belly to support the squash and pushed down on the knife to make the slices. Trying to saw or cut them like a tomato did not work for me. Use a technique that will help you achieve the result. 3. Toss the slices in a large bowl with all of the seasonings and oil. I did not give measurements because this step is based on your family and what they like. I used my reliable 4 pack: salt, pepper, onion powder and garlic powder. I also added some fresh mint. You add what you like and use seasonings that best fit into your family's appetite. 4. Bake slices for 20 minutes of until tender. Sprinkle Parmesan Cheese over the top layer of slices and broil until golden brown. 5. I removed the cookie sheet and transferred the slices to a serving plate. Note: I have included one affiliate link to show you the brand and type that I use. There is no obligation to buy. I do make a small fee but this all goes towards ingredients for recipes. 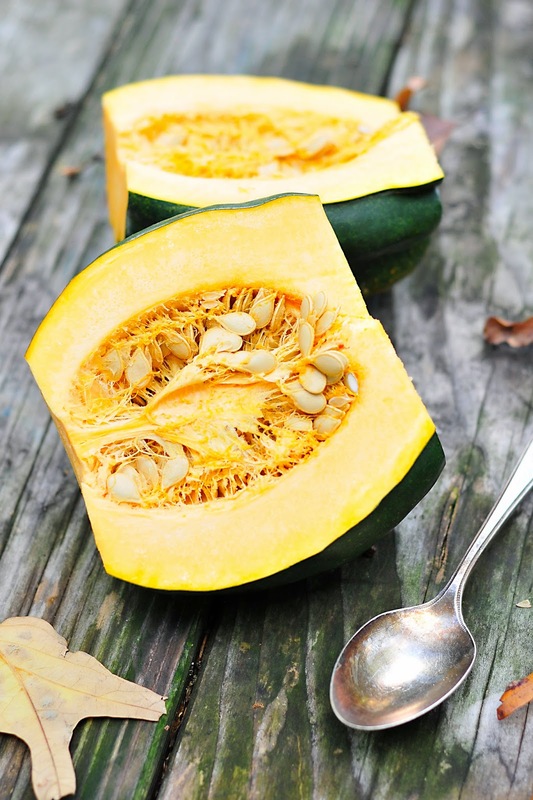 Squash is a good source of many nutrients, including vitamin C, magnesium, and other antioxidant compounds, so it is really a healthy ingredient. Your recipe is simply healthy and taste good. Thanks for the recipe! I'll try this with my friends on weekend.